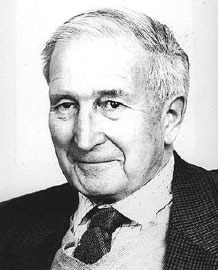 Anthony Flew was one of the most prominent atheists of the latter half of the 20th century. He was well-respected and well regarded by his fellow atheists up until it became evident that Flew had abandoned atheism for deism. Hints that this had happened began emerging around 2001, but by 2004 he made it official. Unfortunately for Flew, this was right about the time that the New Atheists were coming into their own, and the disdain that was normally reserved for religionists of all stripes began to fall upon Flew. This came to a head in 2007, when Flew published his spiritual auto-biography,There is a God: How the Worlds Most Notorious Atheist Changed His Mind.The intent of the book was to explain Flews position at that moment and give some explanation for howhehad arrived at it. Between Flews failing mental health, the fact that the book was co-written by a Christian named Roy Abraham Varghese, and the hostile and aggressive tenor of the New Atheism movement, conditions were right for an all-out assault on the man and the book. It was essentially charged that Varghese took advantage of Flews mental state and manipulated the text to be an apologetic for the Christian faith. Flew released a statement affirming that the manuscript represented his own thinking, but skeptics would nonetheless prove relentless in critiquing the book and attempting to show it was a manipulation and fabrication. There were only occasional attempts to address the book on its own terms, and most of these failed to recognize that in this book, Flew was not mounting a defense of his deism so much as explaininghowhe had arrived at it. Not unexpectedly, Christians moved to defend Flew. Varghese, of course, denied the accusations. William Lane Craig also defended Flew. Some of the most conclusive evidence that the book represented Flews real views was provided by Christian apologist Anthony Horvath, who had been in correspondence with Flew before it was even known that a book was in the works. Horvath showed how elements of the book closely matched statements made by Flew in the letters he had received by Flew. After Flews death, Horvath published images of the letters in an e-book. Nonetheless, Flews prestige has been seriously undermined, and his contributions to the atheistic cause largely forgotten. Flew can be credited for spearheading a move to define atheism as simply not having a belief in God, rather than one that explicitly states that there is not a God. This viewpoint is expressed in his work,The Presumption of Atheism. He is also known for the so-called Flew-Wisdom Parable, which embodies his arguments against Intelligent Design. The No true Scotsman fallacy is one he refined. Ironically, these and other views still have currency among the new atheists. It seems doubtful that many of them are even aware of that fact. For obvious reasons, atheists are not comfortable acknowledging that some of their most potent arguments were advanced by a man who came to the conclusion that There is a God.